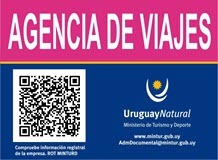 Refugio Anastasio is located in Jose Ignacio, near the Anastasio lagoon. It is a perfect place to spend the day and enjoy plenty of activities such as canoeing, kite surf, stand up paddle, biking, horse riding and yoga. You can also participate in cultural activities and workshops. The restaurant offers a menu with a Mediterranean flair that focuses on organic and local ingredients. Come to Refugio Anastasio, be active and enjoy the beauty of the place with all your senses.